Jasmin Kuhn is an award winning freelance commercial director, cinematographer and photographer. Born and raised in the bucolic outskirts of Vienna, Austria where art and music were ingrained in her since childhood. Inspired by her parents’ thriving multi-media production company, she moved to the Unites States to pursue her love of the visual arts. At the age of 16 she began building an extensive fine art and fashion photography portfolio, which got her accepted to the very prestigious Art Center College of Design in Pasadena, California. 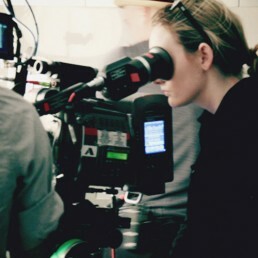 Since graduating from Art Center her Directing credits include commercial work for international accounts such as Dove, Ponds, Head+Shoulders, LG, Macy’s, Neutrogena, BenQ-Siemens, Crayola, Rite Aid, Kotex and Henkel. Working with Agencies such as O+M, DDB, JWT, BBDO, Saatchi+Saatchi and Instinct.